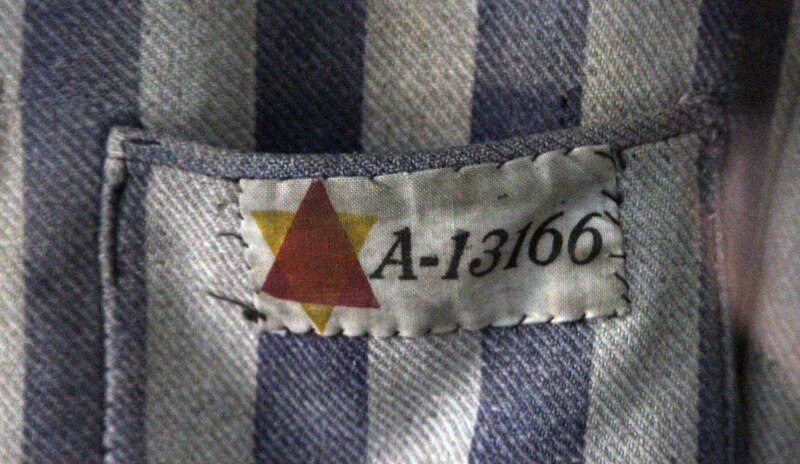 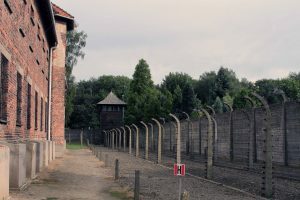 I visited the Auschwitz-Birkenau concentration camp in the town of Oswiecim as a day trip from Kraków on the 25th of August 2010 and what follows are some of the photographs I took while I was there. 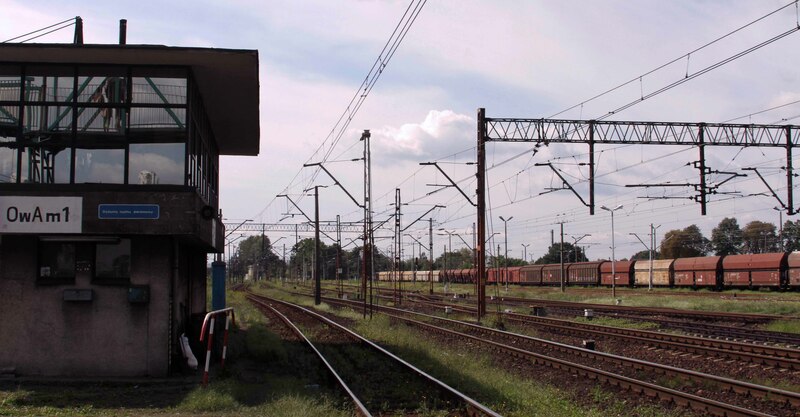 The railway station at Oswiecim (“Auschwitz” in German). 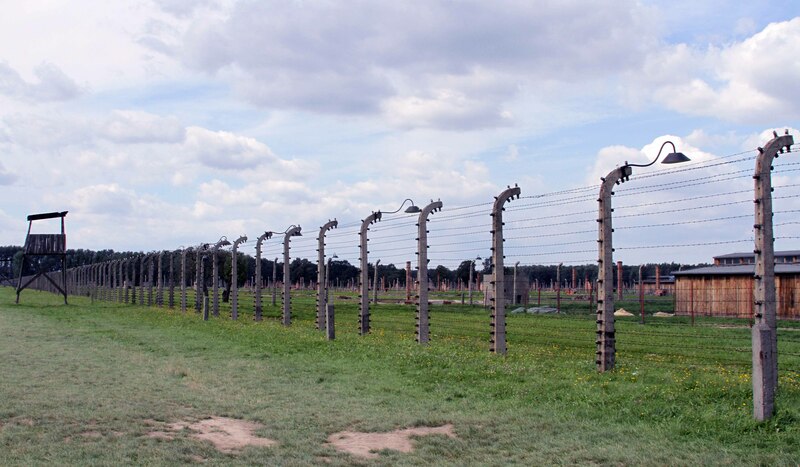 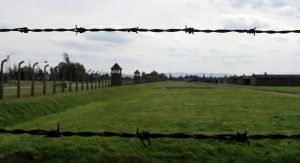 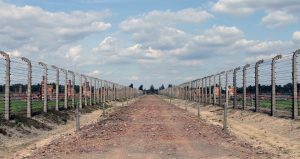 The electric fence around the Auschwitz II-Birkenau concentration camp. 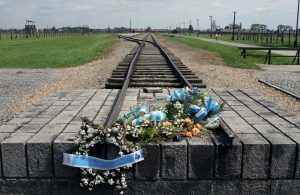 The gate and railroad at Auschwitz II-Birkenau. 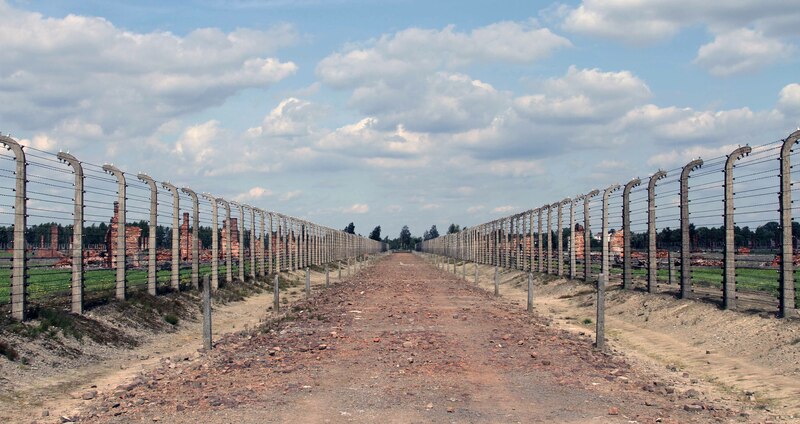 Path that bisects the Auschwitz II-Birkenau camp. 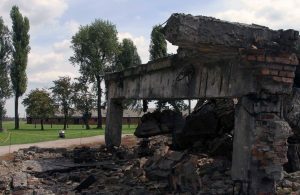 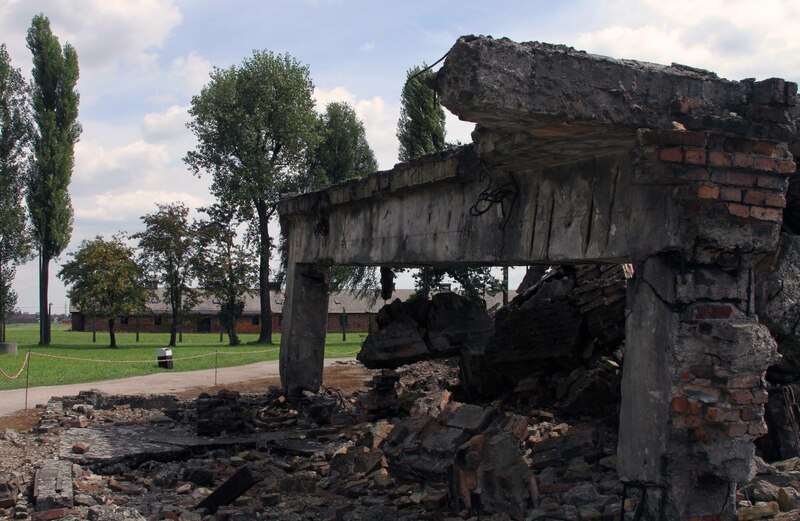 Remains of a crematorium at Auschwitz II-Birkenau; it was demolished by the Nazis in an attempt to cover up their crimes. 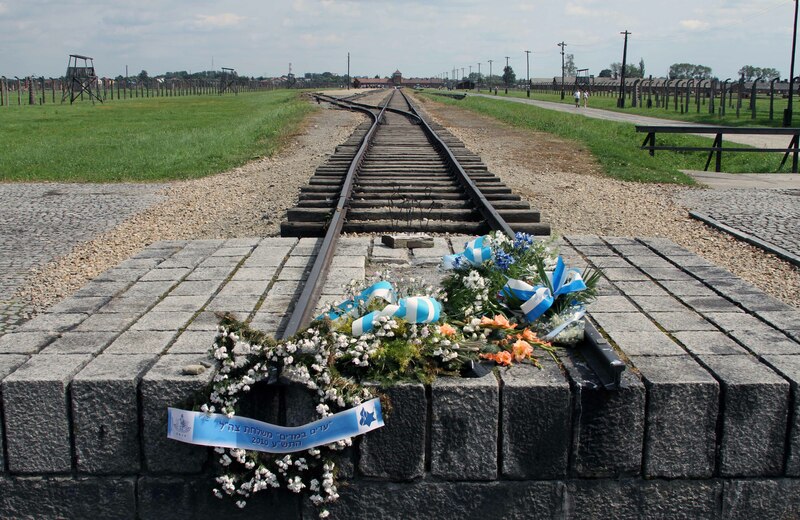 The end of the railroad line in Auschwitz II-Birkenau. 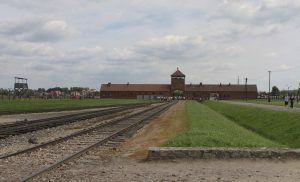 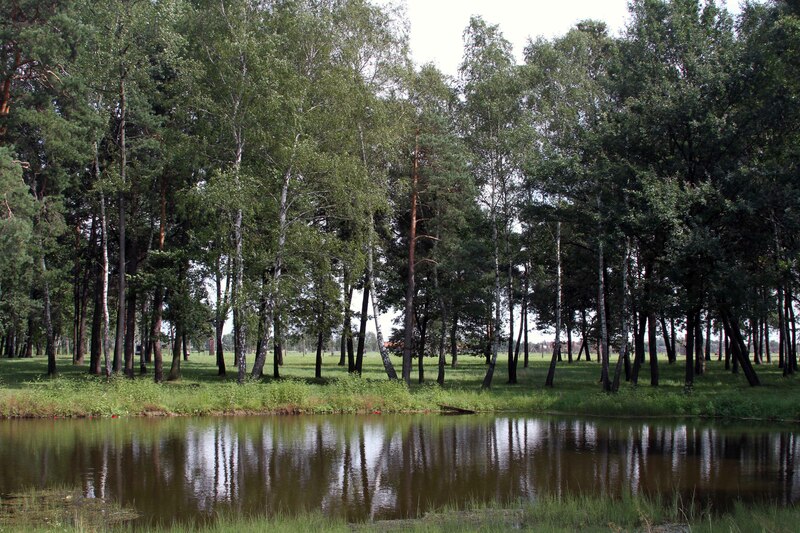 Pond of ashes in Auschwitz II-Birkenau. 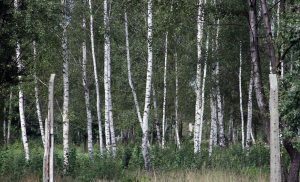 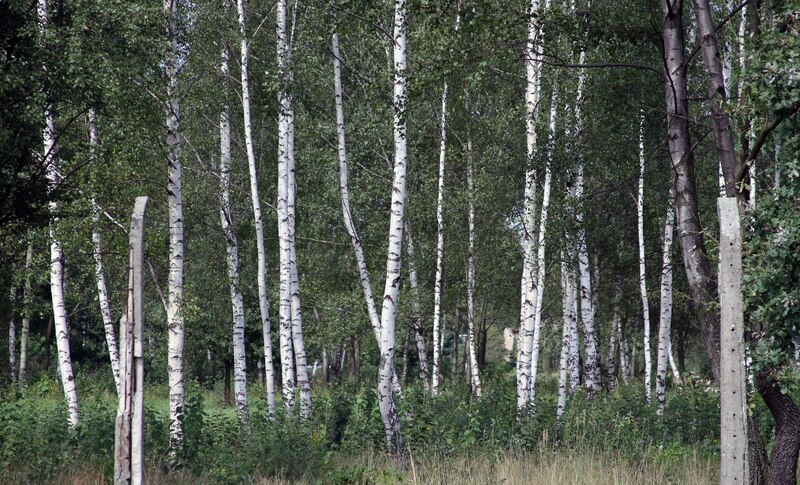 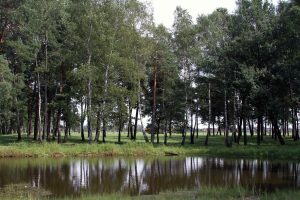 Birch trees on the edge of Auschwitz II-Birkenau. 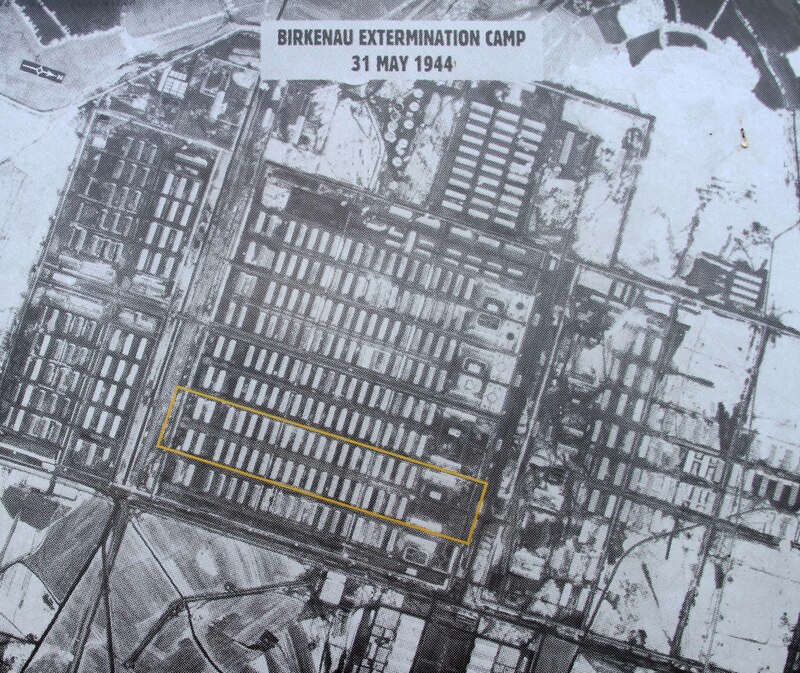 Aerial photo of Auschwitz II-Birkenau taken during World War II. 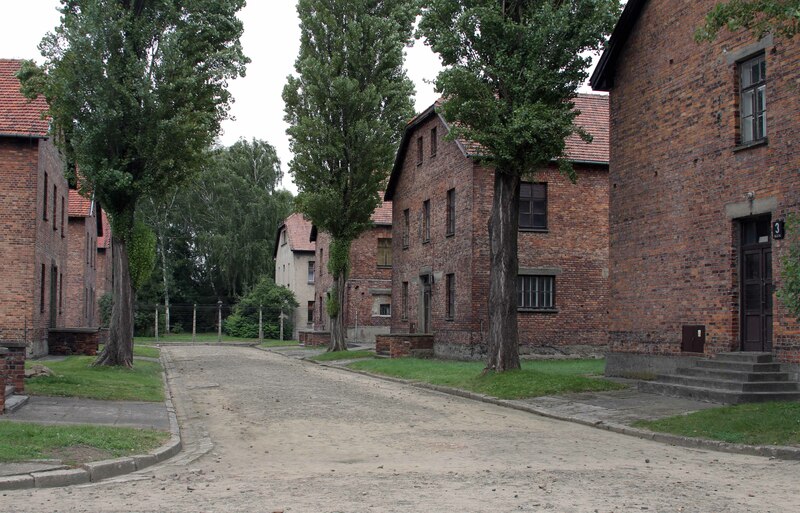 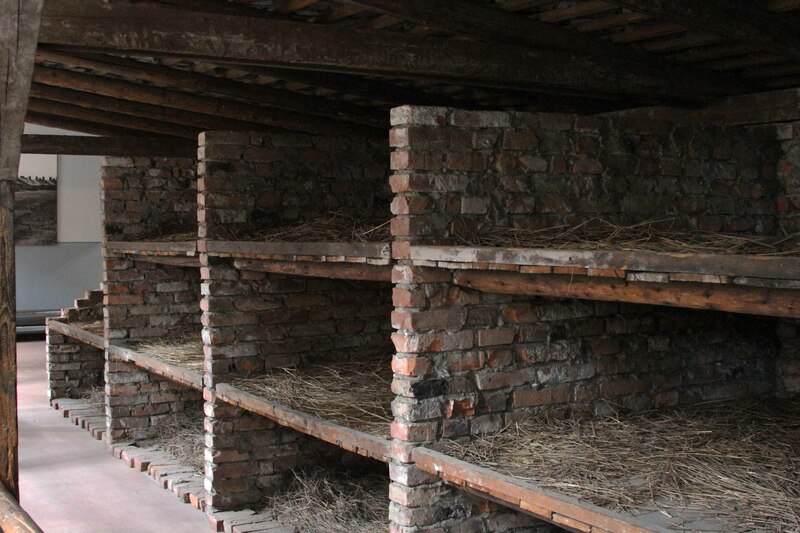 More barracks at Auschwitz II-Birkenau. 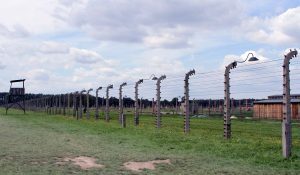 Looking through the barbed wire at Auschwitz II-Birkenau. 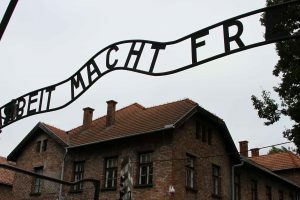 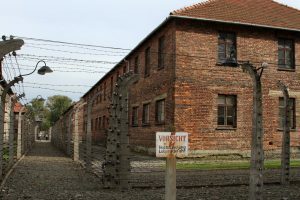 The infamous “Arbeit macht frei” sign over the entrance to the Auschwitz I concentration camp – this is a replica since the original was stolen the year before. 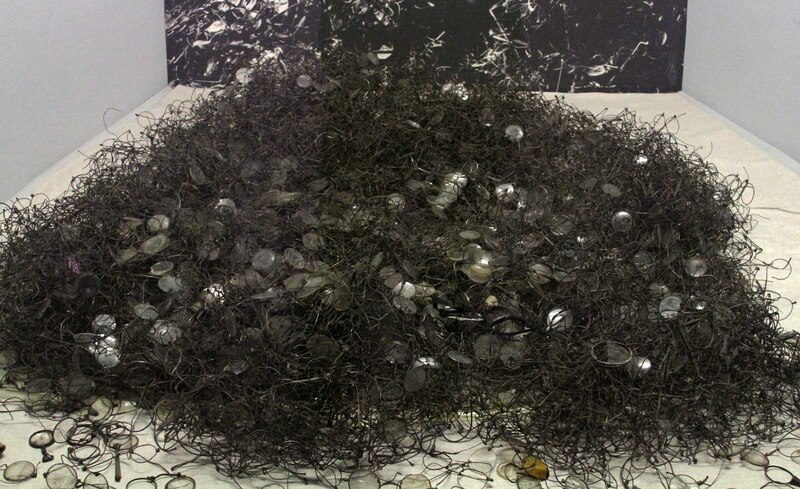 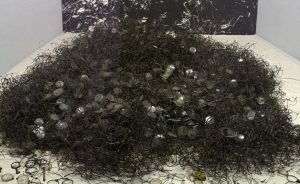 Pile of victims’ eyeglasses on display in the museum in Auschwitz I.
Closeup of a prisoner’s identification number and symbol (signifying the reason for imprisonment) on a uniform on display in the Auschwitz I museum. An example of the type of “beds” the prisoners had to sleep on. 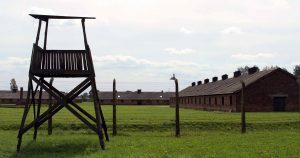 A tower and electric fences at Auschwitz I. 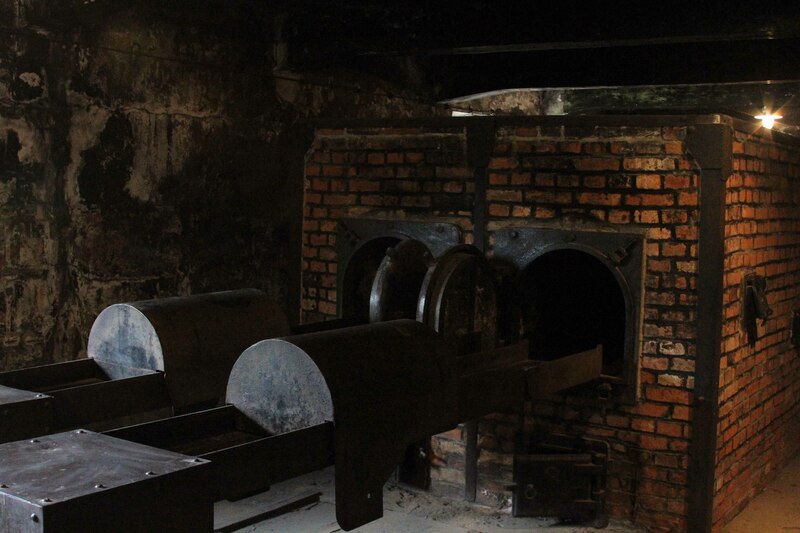 Interior of the crematorium at Auschwitz I. 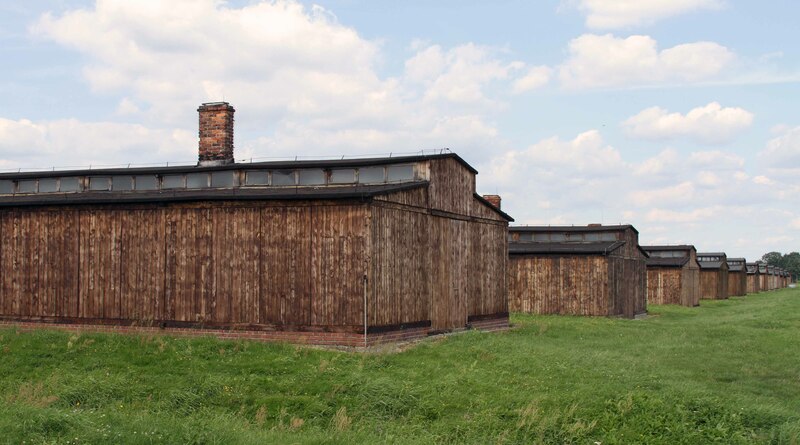 This was a strange sight found near the Oswiecim railway station – this has to be one of the smallest night clubs in the world.